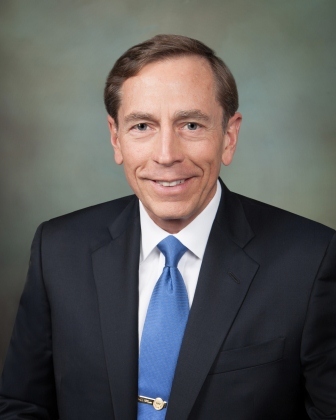 The Council of the Royal United Services Institute for Defence and Security Studies (RUSI) is delighted to name General (Retd) David H Petraeus as Senior Vice President. This honorary role was created by RUSI's trustees and advisory council in recognition of General Petraeus' long association with the Institute and his distinguished contribution to the study and development of defence and international security concepts, as well as his implementation of those concepts in operations in the Balkans, Iraq, and Afghanistan. Earlier this year, General Petraeus was conferred RUSI's Chesney Gold Medal for his lifetime service to the field of security studies and operations. The Royal United Services Institute is the world's oldest defence and security think tank. 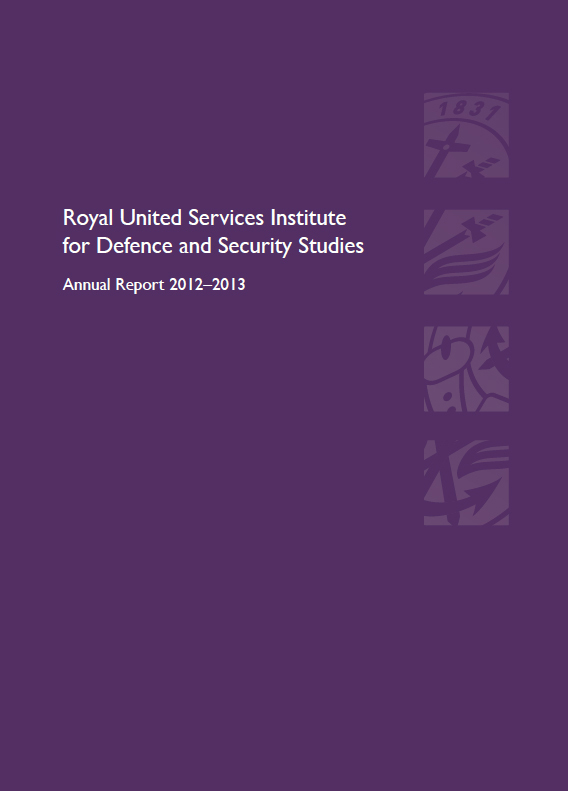 RUSI's activities in the year 2012-2013 has been dominated by an active research and international security programme. 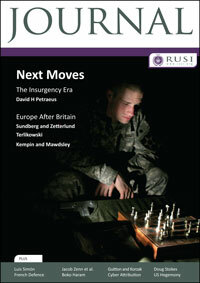 And RUSI continues to be a leading platform and commentator on defence and security. Mark Urban, Dr Huw Davies and Dr Peter Caddick-Adamsmen will discuss how the 95th Rifles shaped the course of British military evolution. Looking at the roles of Maritime Expeditionary Forces in future crises, contingencies and conflict prevention. Examining how developments in social media, big data and information assurance/cyber security benefit and challenge Defence. Investigating the international community’s response to the changing threat of terrorism. The latest issue of the RUSI Journal examines the implications to European defence and security should the UK leave the EU. The Royal United Services Institute is pleased to announce that the following books have been selected for the 2013 Duke of Westminster Medal for Military Literature shortlist. The final winner will be announced at the annual award ceremony in November this year. To see the shortlist and but the books, click here.